Review: For the students of Fujimi High School it all started with a weird looking man standing at the front gate on a sunny spring day. Only moments later he mercilessly murdered and infected most of the students with his zombie virus of unknown origin. The few, who stick together to survive, soon realize that this is a problem of global proportions. 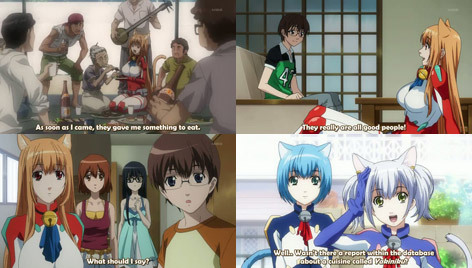 At first glance High School of the Dead is an action based zombie anime with much fanservice and little story. On a second glance however, the breathtaking animation quality, astonishing music and character developments make this anime into something worth recommending especially due to the lack of bloody adult action anime recently. It’s questionable however, if that can compensate for the overuse of fanservice and some rather weird, crappy and unrealistic scenes where you have to wonder whether or not this is unintentional humor, or maybe rather clever humor designing a ridiculous scene in a serious way, while it is really meant as a joke (either way I had to laugh hard many times). All in all it is done decently well and I enjoy it even more than the original manga it is based on. Review: Kakazu Kio is your usual high school boy living in Okinawa; that is until the day Eris stepped into his live. Eris is an alien agent with the appearance of a cat-girl, who came to earth to observe, make friends and have fun. Like always in these stories she is living together with the main character during her stay on earth. But as it seems, alien fanatics, government agencies and other aliens living in secret on earth are about to become a thread to their fun times together. Asobi ni Iku yo! can be described as a mix of To-LoveRu and Dears. It’s the usual anime show where Alien female life forms come to earth and seem to have nothing better to do than go and have fun with the main character, who in turn has to teach them about the way of living in a human society. With a little comedy and romance thrown in we get another fun anime, as originality isn’t a necessity as long as it’s well made and fun to watch. Weak points of this show are rather unrealistic organizations, secret agencies and government departments. 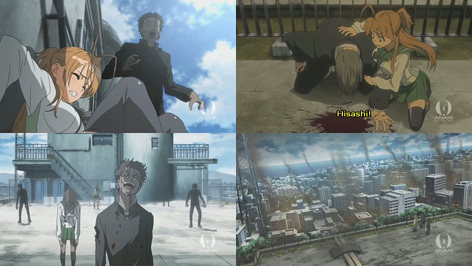 All action and fighting scenes seem so wrong and out of place that it destroys the overall picture of the anime.